A nights stay at a comfortable airport hotel saves the hassle of driving to the airport for an early morning check-in. An airport hotel with a car parking package can cost less than airport parking alone. If you have a late arrival back into the UK a nights' stay at one of our airport hotels could make all the difference.. Arrive home the next day refreshed and rested. Pre-book airport hotels with Airport Parking and save up to 60%. We offer a wide choice of airport hotels at Gatwick - one of the UK's most popular airports. The range of Gatwick Hotels we offer is designed to suit each individual traveller's needs. Book in advance to get the best price. We are constantly reviewing our hotel rates to check that we maintain the keenest prices in the business. Quality hotels at Heathrow, the UK's busiest airport, all at cheaper rates. Looking for hotels at Stansted airport with parking - Start your holiday early - stay at one of our discounted Stansted airport hotels before you fly. Whether you are looking for a hotel at Luton airport, a country location or excellent leisure facilities - Choose from our selection of rate reduced Luton airport hotels. Pre-book your Birmingham airport hotel. Quality to fit four star comfort or a comfortable bed if you're travelling on a budget. 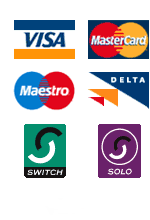 Best prices for Birmingham airport hotels with 8 or 15 days parking. 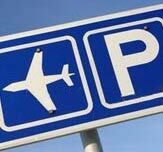 Looking for a hotel and car parking for Glasgow airport. Select a Glasgow airport hotel - on site, close by, luxury or budget .... the choice is yours! Book an airport hotel at Edinburgh airport at a price to suit your pocket. Four star luxury or three star comfort. Cardiff is a great UK airport in terms of service and atmosphere - We have negotiated good discounts at nearby airport hotels. Stay at the Liverpool Marriott hotel close to the airport at a discounted price. Excellent hotels available to pre-book at Nottingham East Midlands airport - ranging from the Hilton to the Travelodge. Fly from Aberdeen and make sure you get the best value for your quality airport hotel! 3 & 4 star comfort available on site or close to Aberdeen airport. Check out our great hotel and parking deals at Northern Ireland's busiest airport. Stay at Dublin airport in the comfort of the 4 star Holiday Inn. Holiday parking is available at the Hotel - Family Rooms for 2 adults and 2 children can be booked - Book early to guarantee you room and the best price. Pre-book easy going hotel accommodation with airport transfers at Leeds Bradford airport. Start your holiday on a good note. If you are travelling in the morning from London City Airport, the Holiday Inn London Docklands is a perfect stopover. Hotel parking is available for the duration of your trip. We offer 3 and 4 star comfort and quality accommodation at Newcastle airport hotels. Book your Newcastle Hotel Parking at the best rate. Looking for a hotel that provides transfers to Southampton Airport? Fly from Southampton and stay at the Holiday Inn - book early- get the best price. Airport Hotels with parking at Bristol - Enjoy the convenience of flying from Bristol airport as well as our choice of discounted hotels. A Hotel at Norwich Airport - Pre-book the Hilton on-site at Norwich airport and enjoy the night before your flight - check out our discounts! Need hotel accommodation and parking at Humberside Airport? Stay at the friendly Holcombe guest house and get the best price - breakfast is included. Comfortable hotel accommodation available to pre-book at Durham Tees Valley Airport - Book Hotel Parking Durham Teesside airport early and get the best deals. Looking for a cheap hotel with transfers to Coventry Airport. Relax at the Chace or Allesley Hotel before your departure from Coventry Airport and save with Airport Parking. A hotel with car parking for Doncaster Airport - The Angel Lodge is an exciting brand new development of six lodges within the delightful gardens of the Angel Inn at Misson close to Doncaster. Prestwick hotel with or without Parking - Check in to the Ramda Ayr Hotel for a relaxing night before your flight from Prestwick Airport. Weary ferry travellers can take a welcome overnight break at the Ramada Hotel Dover. The comfortable 3 star hotel is available with Ferry or Cruise parking at the Eastern docks.